Very much the sport city, located in the very south of the country, Melbourne was the home for a recent Australian Hopes initiative; proceedings commenced on Tuesday 10th January and concluded on Sunday 15th January. The man at the helm of proceedings was Dejan Papic, the ITTF Education and Training Co-ordinator. 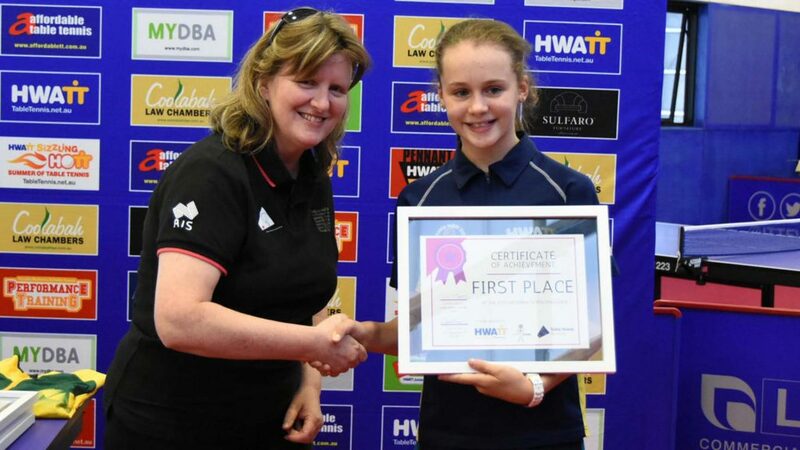 Organised under the auspices of the ITTF Development Programme in conjunction Table Tennis Australia who administered matters to perfection, two practice sessions were held each day. The morning session was held at Camberwell Grammar School, the afternoon at Melbourne Sports and Aquatic Centre, where 20 older players joined the group. A detailed schedule, the itinerary encompassed three major elements. Hopes training comprised the majority of the itinerary which included significant coach education. 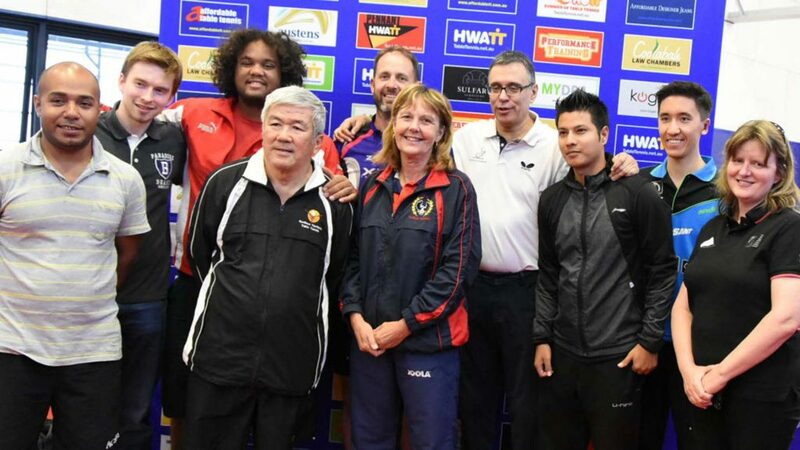 Additionally Hopes expert training was involved; a concept in line with the ITTF DNA (Developing National Associations) strategy to leave the maximum legacy by educating the coaches to continue the Hopes ideal. Three topics, the one remaining item was the ever popular tournament to conclude matters, the Hopes Challenge. A total of 13 coaches attended the Hopes expert training, 11 being from the host nation, the exceptions being Choy Freddy from Kiribati and Tahiti’s Alize Belrose. One notable member was Simon Gerada, in 2000 the winner of the Men’s Singles title at the Oceania Championships, whilst also being on duty at the Sydney Olympic Games in the same year. Alongside colleagues from Health, Wellness and Table Tennis, he was able to add to the wide ranging topics on the agenda in most well thought out and professional manner. 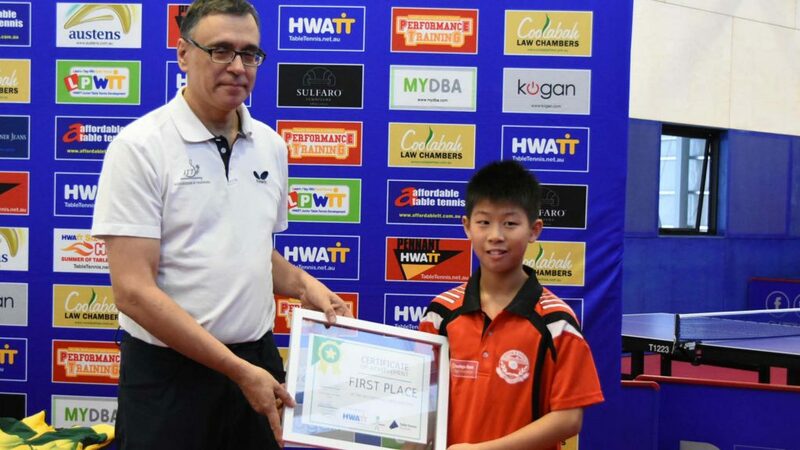 Most pertinently, he made a presentation focused on his experience of his visit in 2016 for the ITTF World Cadet Challenge and preceding training camp. A well-received address from Simon Gerada; in addition there were lectures from Dr George Pittas, a coach and sport science consultant, as well as from Marina Mateo, a performance psychologist who has been working with the Victorian Institute of Sport and the Australian Olympic Team. A member of the Hopes Team in Shanghai was Australia’s Finn Luu, he was present at the training sessions staged at the Melbourne Sports and Aquatic Centre. 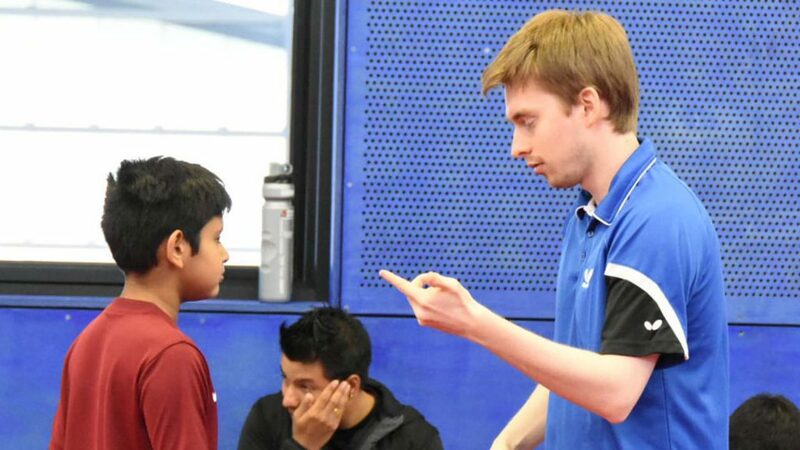 He was able to share his experience of the Hopes Programme, having attended at all levels from national to continental and onwards to the ITTF World Hopes Week and the ITTF World Cadet Challenge. Education completed, maybe not; the Hopes Challenge concluded proceedings, in itself that was an education for the coaches to see how the young players responded in a competitive situation. 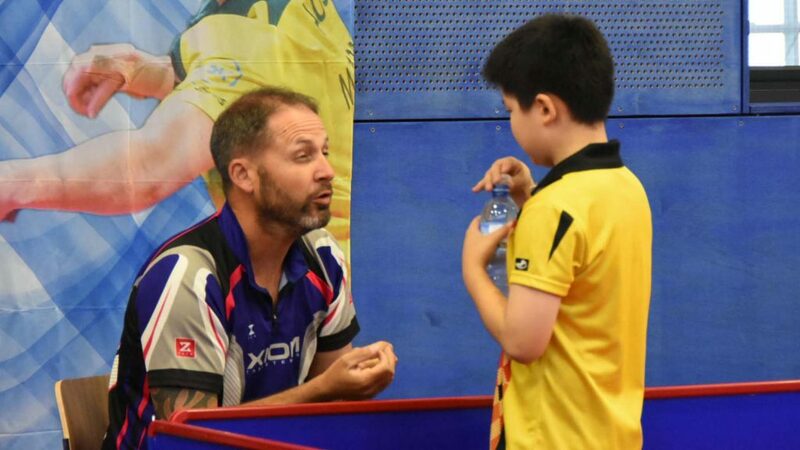 Administered by Neil Monfort, a Deputy Referee at the Rio 2016 Olympic Games, the young players received advice as well as experiencing how matters are conducted at a tournament. 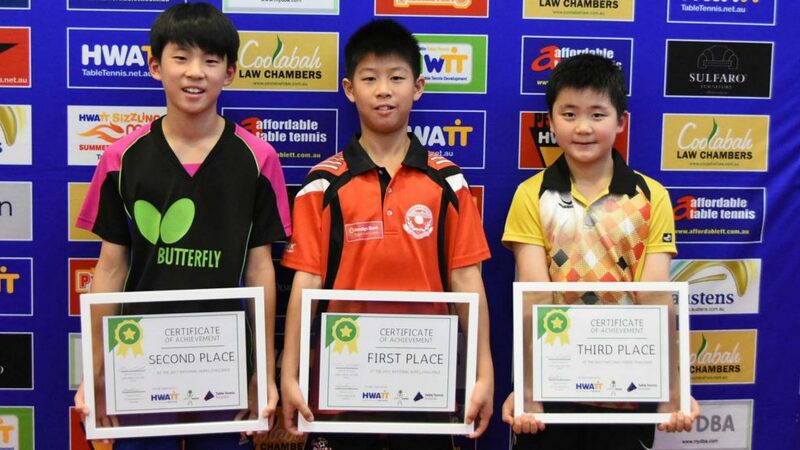 Nicholas Lum from the home state of Victoria won the Boys’ Singles event finishing ahead of the New South Wales trio comprising Hwan Bae, Won Bae and Ray Zhang. Next in line came the Victorian pairing of Daniel Kocjancic and Aneruddh Nandakumar followed by Queensland’s Ashmith Sivayoganathan. Meanwhile, in the counterpart Girls’ Singles event; all from Victoria, Hannah Green concluded matters in top spot with Olivia Green and Valentine Kelly Chew in respective second and third places.